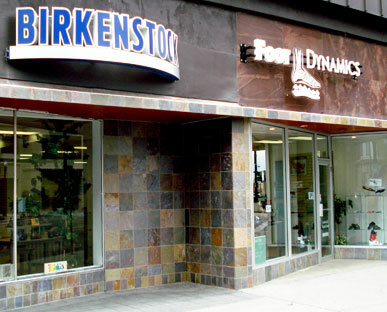 Foot Dynamics is a Comfort Shoe Store with a modern, highly innovative orthotics lab located in Boise, Idaho. We provide orthotic fabrication services for medical professionals and consumers world wide. We have an extensive selection of extra depth and orthotic friendly shoes in widths from AAA to EEEEEEEE. Brands include New Balance, Drew shoes and sandals, Birkenstock, Dansko, Altra, Keen shoes and boots, Halfinger, Klogs and Naot. We feature custom cycling shoes from Bont and custom fiber boots from Daleboot. In the running circle, we carry ALTRA ZeroDrop Footwear™ and New Balance running shoes to provide comfort for and prevent injuries from modern running styles. Foot Dynamics is a Pedorthic facility, staffed by full-time BOC and ABC Certified Pedorthists. Our services include gait analysis, biomechanical assessment, custom foot orthotics fabrication, footwear counseling and shoe modifications. In our gait analysis lab we can assess your walking and running biomechanics with videotaping and slow motion play back. We also work extensively with cyclists to improve pedal stroke, power and knee alignment. LeMond Fitness bike shoe cleat wedges, LeWedge shims, are used to address misalignment and/or leg length discrepancies. Foot Dynamics is a full-service ski boot fitting shop with boot sole grinding and custom boot liners. We also offer sport-specific custom orthotics for nordic skiing, skating, cycling, running, turf sports and golf.